When Surrounded by Darkness, in Whom do you Trust? I would like 2012 to be a significant year in the life of our church. I want us to get serious about Discipleship. I want discipleship to be discussed in every class room, every committee meeting, every get together. I want the question that is asked most of each other, “How are you developing as a Disciple of Jesus Christ?” I want each of us to have a clear picture of how we are to develop as disciples of Christ. It will not happen right away, but over the next 18 months, as we look at every aspect of our church in light of Discipleship, we can make the proper adjustments in how we do ministry, and develop a clear-cut road to discipleship, Biblical Discipleship. This will not come without some difficulties. Discipleship is difficult, for the way is blocked with Goliath’s. Saul’s and Doegs. But if we continue to kneel before the Cross, and desire to follow the Holy Spirit, Christ will do an amazing work in this church and in your lives. Isaiah 42:5-7 Thus says God, the LORD, who created the heavens and stretched them out, who spread out the earth and what comes from it, who gives breath to the people on it and spirit to those who walk in it: “I am the LORD; I have called you in righteousness; I will take you by the hand and keep you; I will give you as a covenant for the people, a light for the nations, to open the eyes that are blind, to bring out the prisoners from the dungeon, from the prison those who sit in darkness. The Jewish people thought they were walking in the light. But in actuality they were held in prison by the perversions of the Law perpetrated by the Pharisees. Jesus opened many eyes to the true Light of the Gospel, but the religious Leaders remained blind, because “we just don’t do it that way”. Jesus did not fit into the mold formed in the cave of their minds and they rejected Him. In fact, they crucified Him, for they refused to follow His light. Discipleship is difficult, for you follow Christ, not a religion, not a list of man-made rules or traditions. Discipleship requires an ongoing growth and development of a relationship with an invisible Savior. Discipleship requires Faith, for only Faith imparts the ability to see Him who is Invisible. Jesus proclaimed that He was coming to give sight to the blind. But in order to receive sight, we must be willing to submit to His leadership and commands. Any resistance on our part places us right back in the darkness that Jesus came to free us from. A. 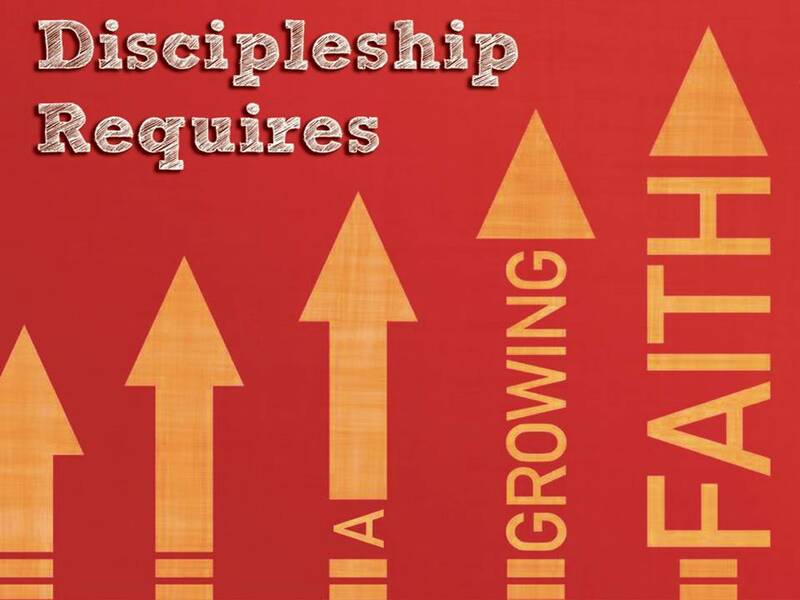 Involves Growing Faith, Or It Is Not Discipleship. 1 Samuel 23:29 And David went up from there and lived in the strongholds of Engedi. David leaves the Rock of Escape and goes down to the Dead Sea, to find refuge in the Strongholds of EnGedi. EnGedi is a great hideout. Plenty of hide-outs, fresh water, a veritable oasis. EnGedi is the largest oasis along the western shore of the Dead Sea. The springs here have allowed nearly continuous inhabitation of the site for 4000 years. The abundant springs and year-round temperate climate provided the perfect conditions for agriculture in ancient times. Solomon compared his lover to “a cluster of henna blossoms from the vineyards of EnGedi,” an indication of the beauty and fertility of the site (Song 1:14). Even though there are many springs around the Dead Sea, most of them have a high salt content. EnGedi is one of only two fresh water springs located on the western shore of the Dead Sea and, because of the greater availability of land for agriculture at EnGedi, it is the best spring by which to settle. EnGedi means literally “the spring of the kid (goat).” Evidence exists that young ibex have always lived near the springs of EnGedi. One time when David was fleeing from King Saul, the pursuers searched the “Crags of the Ibex” in the vicinity of EnGedi. David could have settled here and hoped in the natural strongholds that were there in EnGedi. He may not have become content, but he and his men could have resumed more normal lives. They could have still worshipped God, do an occasional good deed, and been safe. That is what a stronghold is, a place of safety due to its position or protection. But this would not produce the Discipleship that God required of David, nor would it serve to transform David’s crew into Mighty Men. God wanted them to grow in their faith. So God allowed King Saul to find David. God lead Saul into David’s Stronghold. 1 Samuel 24:1-3 When Saul returned from following the Philistines, he was told, “Behold, David is in the wilderness of Engedi.” Then Saul took three thousand chosen men out of all Israel and went to seek David and his men in front of the Wildgoats’ Rocks. And he came to the sheepfolds by the way, where there was a cave, and Saul went in to relieve himself. Now David and his men were sitting in the innermost parts of the cave. Genesis 14:17-20 After his return from the defeat of Chedorlaomer and the kings who were with him, the king of Sodom went out to meet him at the Valley of Shaveh (that is, the King’s Valley). And Melchizedek king of Salem brought out bread and wine. (He was priest of God Most High.) And he blessed him and said, “Blessed be Abram by God Most High, Possessor of heaven and earth; and blessed be God Most High, who has delivered your enemies into your hand!” And Abram gave him a tenth of everything. Encouraged by his men, the Scriptures record what happened next: “Then David arose and stealthily cut off a corner of Saul’s robe.” His men must have been shocked. Why didn;t he kill him. Their troubles would be over. They could go home. David could be King. But God wanted each of them to learn a valuable lesson. 1. Disciples that desire safety and comfort usually end up in the dark as far as God is concerned. 3. In the cave of safety we often resort to solving our problems with our own short-sighted vision. 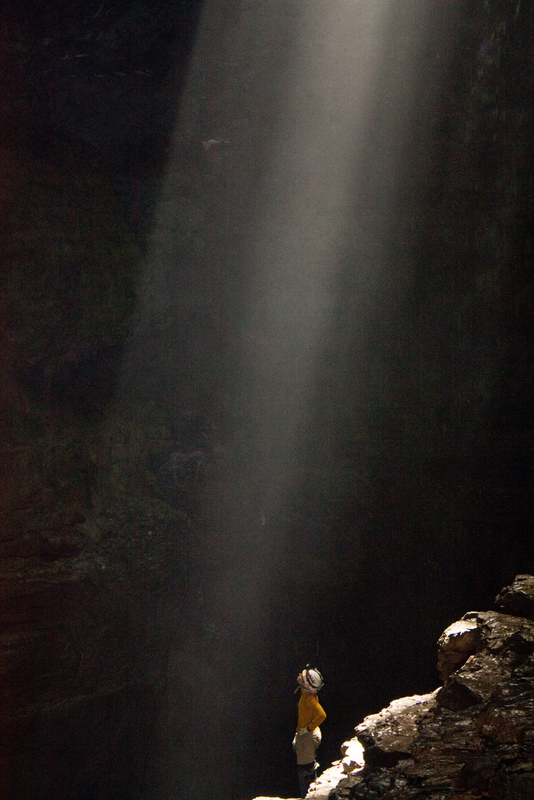 God wanted David and his men to look to Him in the darkness of the cave, not to their own resources. Here was a struggle of conscience pre-ordained of God that would lead these men into the very presence of God! But if we do what David did, and follow the call of God—hazards and all—then we will come to this place week in and week out with a sense of deepening reality and power. That’s essential number one: if God’s blessing is going to be on this place, as a place of real worship, then those of us who gather here must gather as a kind of haven between hazards. Not as a haven instead of hazards but a haven between hazards. True worship will come from the impulse to hazard things for the name of God. B. Involves Growing Worship, Or It Is Not Discipleship. Most people associate worship with something you do when things are going OK. We associate church with worship. We go to church when things are normal. I have discovered that when things get “abnormal” that folks don’t really feel like worshipping at church. When we are overwhelmed with house guests. When we experience the loss of a loved one. When we have a tragedy strike us. When we are stricken with a deadly disease. One thing very obvious about David is His worship of God, especially when things were “abnormal” And David’s worship wasn’t confined to the Tabernacle of the Temple. David worshipped God anywhere and everywhere. But David especially worshipped God when things were “abnormal”, because Worship was what David lived for. When David found himself in the cave, with Saul but a breath away, followed by his 3000 trained killers, David was justifiably afraid. It was dark, he was trapped, here was Saul, his men outside. David’s men wanted to kill Saul, but David feared God much more than he feared King Saul. Since he was the anointed King of Israel, only God could remove him. It was not within David’s power. Even if Saul was dead, what would the 3000 armed men do when they discovered he was dead? For the director of music. To the tune of “Do Not Destroy.” Of David. A miktam (instruction). When he had fled from Saul into the cave. Psalm 57:1-11 Be merciful to me, O God, be merciful to me, for in you my soul takes refuge; in the shadow of your wings I will take refuge, till the storms of destruction pass by. I cry out to God Most High, to God who fulfills his purpose for me. He will send from heaven and save me; he will put to shame him who tramples on me. Selah God will send out his steadfast love and his faithfulness! My soul is in the midst of lions; I lie down amid fiery beasts— the children of man, whose teeth are spears and arrows, whose tongues are sharp swords. 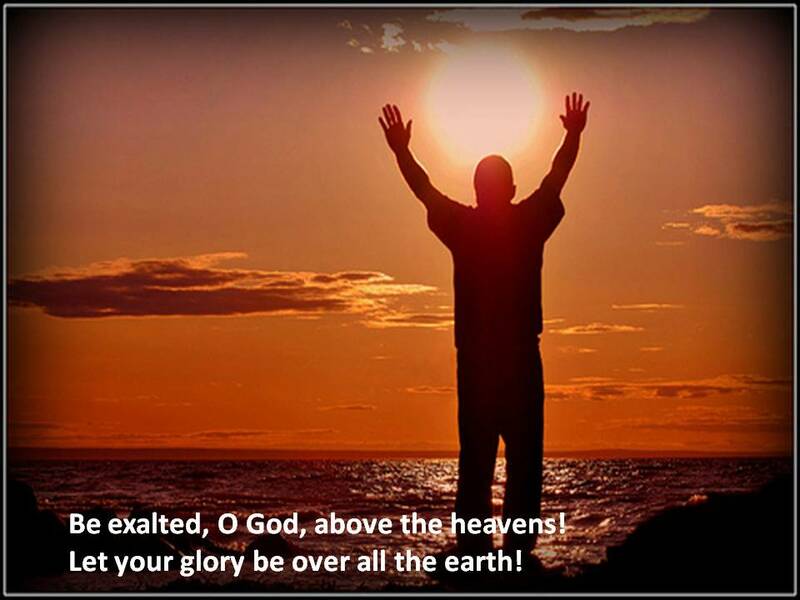 Be exalted, O God, above the heavens! Let your glory be over all the earth! They set a net for my steps; my soul was bowed down. They dug a pit in my way, but they have fallen into it themselves. Selah My heart is steadfast, O God, my heart is steadfast! I will sing and make melody! Awake, my glory! Awake, O harp and lyre! I will awake the dawn! I will give thanks to you, O Lord, among the peoples; I will sing praises to you among the nations. For your steadfast love is great to the heavens, your faithfulness to the clouds. Be exalted, O God, above the heavens! Let your glory be over all the earth! David cried out to God to fulfill His purpose in his life. If God’s purpose was to be accomplished by David’s death, then so be it. But David had a promise from God that he would be King, so David cried out for that purpose to be accomplished. David asked that God be exalted regardless of what happened. David affirmed that his heart was fixed upon God. David promised to give thanks to all the people, regardless of the outcome. David worshiped one more time and exalted God. Because David’s heart was fixed upon God, David always worshipped God in the midst of his problems, and in fact exalted God in the face of his problems. No matter what David faced, he always said “God, this is for you to handle. You be exalted, and however you work this out, I will praise you before all the people”. We will see this over and over in David’s life. Because his heart was given to God, David sought to see God’s justice in every situation he faced, even in the unjust ones. Are you overwhelmed with a certain situation? Do you struggle with what God is doing in your life? Confess to God your sinfulness for not giving Him your heart, and for not fixing your heart upon Him. Confess your lack of worship and then bow humbly before Him, and ask Him to fulfill His purpose for your life. Ask Him to be exalted in the situation you are facing. Then bow before Him and say, whatever you want for my life, I accept it and I want it. I want you to be exalted in this situation. There was a mom with a young pre-teen who was neglecting his chores to play his new video game, Call of Duty: Modern Warfare 3. His room was a disaster, and Mom had enough. She marched into his room and holding her preferred form of politically incorrect discipline, exclaimed “Get up and clean this room or you will know the wrath of Vladimir Makarov!” He knew what that meant, so he jumped up and started cleaning his room. You could tell his heart was not in it, however, and soon he said, “I may be cleaning my room on the outside, but inside I’m playing Modern Warfare 3 and I’m blasting away! He was submitting to a greater force, but only because he had to. But that is not David’s heart in the Cave. Three things in Psalm 57:1 show a disciple’s (David) submission before God. He cries for mercy. He sees his need from God for mercy and grace. He cries out for a refuge. He is vulnerable before his enemies, he sees his need for God’s provision. He calls his refuge the “shadow of God’s wings.” David, the mighty warrior, the anointed of God, says, “In the shadow of thy wings I will take refuge.” In other words, “I am a little chick. And I need the covering of my God.” Submission to God requires humility. Psalm 57:2 “I cry out to God Most High, to God who fulfills his purpose for me”. Psalm 57:5 Be exalted, O God, above the heavens! Let your glory be over all the earth! Psalm 57:11 Be exalted, O God, above the heavens! Let your glory be over all the earth! Psalm 57:7 My heart is steadfast, O God, my heart is steadfast! I will sing and make melody! No matter what happens, I want you to be exalted. If it means my death, or my imprisonment, that will be your purpose, and You will be Exalted. You must be willing to accept poverty, homelessness, sickness, disease, rejection, betrayal, injustice, abuse, anything, as long as it exalts God. A Disciple never says I don’t have to put up with this. A Disciple exalts God to where His glory is between you and any problem you may be having. 1 Peter 2:20-24 For what credit is it if, when you sin and are beaten for it, you endure? But if when you do good and suffer for it you endure, this is a gracious thing in the sight of God. For to this you have been called, because Christ also suffered for you, leaving you an example, so that you might follow in his steps. He committed no sin, neither was deceit found in his mouth. When he was reviled, he did not revile in return; when he suffered, he did not threaten, but continued entrusting himself to him who judges justly. He himself bore our sins in his body on the tree, that we might die to sin and live to righteousness. By his wounds you have been healed. We have become a Nation that focuses so much on our Individual Rights, that we place our supposed rights before our responsibilities. That philosophy has infected our church to the point that we put our rights before our responsibilities as a Disciple of Christ. We want our discipleship to be comfortable, but Jesus says I don’t even promise you a bed to sleep on. We want our discipleship to fit our schedule, but Jesus says let the dead bury their dead. We want our discipleship to be convenient, but Jesus says if you put your hand to the plow and then look back at those conveniences, you are not fit for the Kingdom of God. We don’t want our discipleship to make us so different that we’ll be embarrassed, or laughed at, , or be embarrassing, but Jesus said “whoever is ashamed of me and of my words, of him will the Son of Man be ashamed when he comes in his glory”. We want our discipleship to not be too costly, but Jesus says if you are going to follow Him, you must give up everything by dying to self and taking up His cross for you! We always say that our primary purpose as Christians is to give Glory to God, but what we mean is that we want a nice comfortable life that portrays the good side of God. How dare Him make us suffer! How can our suffering bring glory to Him? I can do so much more for God when I am affluent and generous! Right? I was reading about the injustices going on in Eritrea. Evangelical Christians are imprisoned, some for life, for simply bowing their heads in prayer over a meal. They are imprisoned in stifling hot shipping containers or underground bunkers. They are never given baths or showers. There are so many forced into a small place that to lay down and sleep they must sleep on their side. The stench is intolerable. They are given one glass of water a day. They get bread if they are lucky. The prison officials do not care if they live or die. Some are executed. Most are tortured. When a new prisoner come, the first thing anyone says to him, “Did you smuggle any razor blades” because they want to kill themselves. Some are given the opportunity to leave if they recant their faith. Most do not. They cannot, for they are Disciples of Jesus Christ. They knew what it would cost them when they gave their lives to Him! Jesus did not save her. She eventually died. Did she march up to Jesus in Heaven and say “How could you forget about me? How could you let me endure such suffering that I died of dehydration?” No, she wakes up in the arms of Jesus, and when she looks into His eyes, she says, Jesus, I would do it all over again, for your wonderful glory! 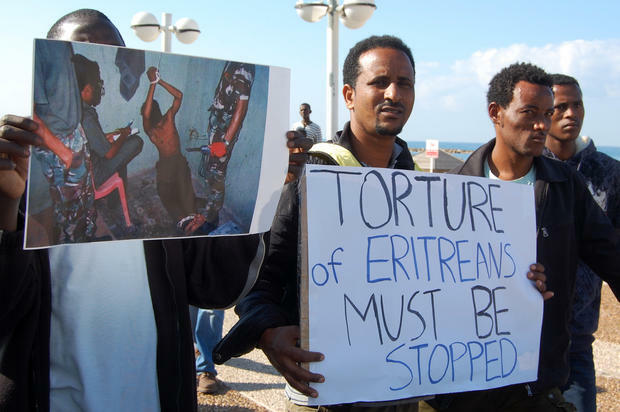 Watch Videos Describing the Torture of Christians going on in Eritrea TODAY! That is what Discipleship is all about. We develop as Disciples as everything in our life, our good, our bad, our successes, our failures, our joys, our sadness’s are laid at the Cross and our only cry is “Be exalted, O God, above the heavens! Let your glory be over all the earth!” My life is inconsequential to your Glory, but I dedicate it to you, for your use in whatever will bring you Glory! Psalm 112:1-7 Praise the LORD! Blessed is the man who fears the LORD, who greatly delights in his commandments! His offspring will be mighty in the land; the generation of the upright will be blessed. Wealth and riches are in his house, and his righteousness endures forever. Light dawns in the darkness for the upright; he is gracious, merciful, and righteous. It is well with the man who deals generously and lends; who conducts his affairs with justice. For the righteous will never be moved; he will be remembered forever. He is not afraid of bad news; his heart is firm, trusting in the LORD. A Disciple is never afraid of bad news. He is not afraid of a diagnosis of cancer. He is not afraid of hearing of a loved one’s tragic death. His heart is firm, always trusting God, no matter what the news. Psalm 142 -A maskil (instruction) of David. When he was in the cave. A prayer. Psalm 142:1-7 With my voice I cry out to the LORD; with my voice I plead for mercy to the LORD. I pour out my complaint before him; I tell my trouble before him. When my spirit faints within me, you know my way! In the path where I walk they have hidden a trap for me. Look to the right and see: there is none who takes notice of me; no refuge remains to me; no one cares for my soul. I cry to you, O LORD; I say, “You are my refuge, my portion in the land of the living.” Attend to my cry, for I am brought very low! Deliver me from my persecutors, for they are too strong for me! Bring me out of prison, that I may give thanks to your name! The righteous will surround me, for you will deal bountifully with me. Do you trust in yourself, doing what you think is best? Do you trust your friends, to get their help? If David had done either of those, we wouldn’t be studying his life. David turned to God when he was backed into a corner, deep in the darkness of the cave! What lessons of Hesed, Mishpat and Tsedaqah are in this experience of David’s? Hesed, Unfailing Love-was in his heart as he refused to kill King Saul. His love for God and trust in Him was stronger than any feeling of hate that might have welled up and led him to take vengeance into his own hands. As a result those men with Him saw the Mercy of God in David’s actions. Mishpat, justice, was brought into David’s House as both he and his men realized that God must be trusted even in perilous situations where you are tempted to do things your own way. God’s Justice must reign in your response to every situation, good or bad. His men saw that, and the House of David grew strong in the ways of God that day. Tsedeqah, righteousness, was David’s Hope as He agreed to wait upon God. Even though that meant years of struggle and hardship, it was worth it because David’s Hope was to be in God and His strength, and not in himself. Temporary relief would have brought eternal damnation. His men saw David’s Hope, and would learn to trust God! Then ask God to grow your Faith to see Him in the Darkness.Do you want to Grow to be a Mighty Man or Woman of God in 2012? Do you want to draw closer to Christ than ever before? Do you His love to be sweeter than ever before? Worship God more faithfully and He will give you more reasons to worship Him. Humble yourself to being a little chickie, needing the protection of His wings. Desire God to be exalted in whatever you face this next year. 2 Samuel 22:29-30 For you are my lamp, O LORD, and my God lightens my darkness. For by you I can run against a troop, and by my God I can leap over a wall. Psalm 18:28-29 For it is you who light my lamp; the LORD my God lightens my darkness. For by you I can run against a troop, and by my God I can leap over a wall. Isaiah 50:10 Who among you fears the LORD and obeys the voice of his servant? Let him who walks in darkness and has no light trust in the name of the LORD and rely on his God. 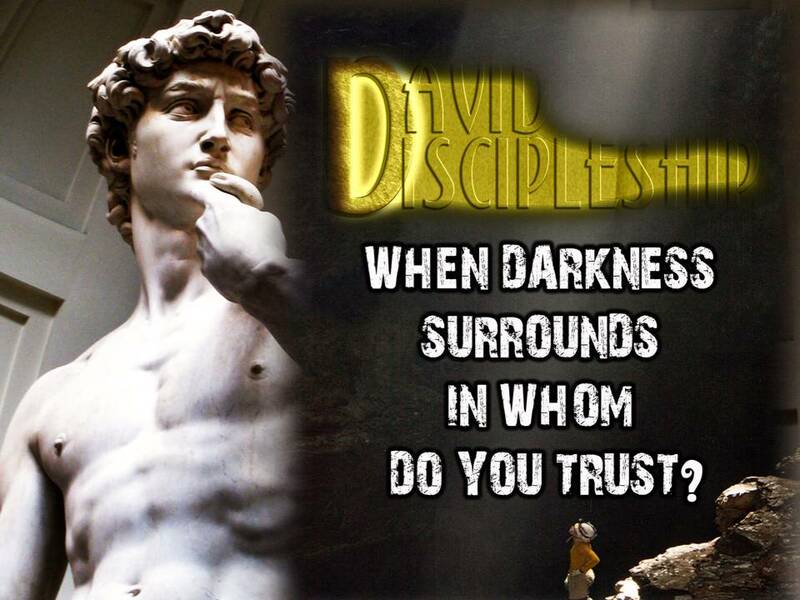 When surrounded by Darkness in Whom Do You TRUST? Isaiah 50:10 … Let him who walks in darkness and has no light trust in the name of the LORD and rely on his God. 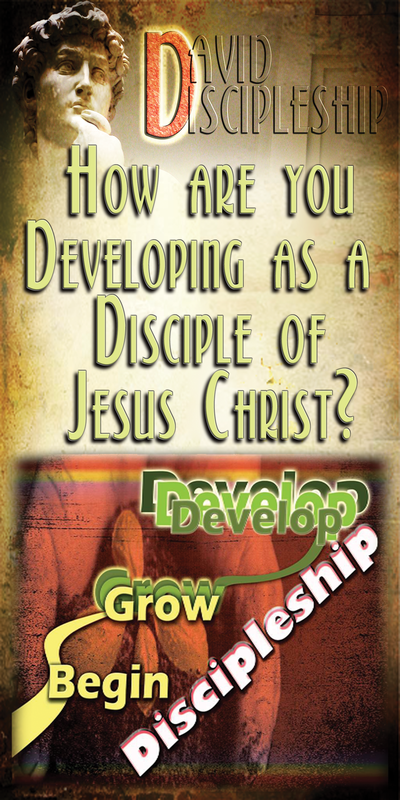 How are YOU developing as a Disciple of Jesus Christ? bring life – God’s word, and grace, and peace. abundantly stretching forth, bringing life for all. Lord, fill me with your light – allow it to shine through me! WOW… I am moved and inspired.